Now in its fourth year, BioBeat, founded by Miranda Weston-Smith, is a collaborative platform for entrepreneurs and leaders in the biotech industry. BioBeat’s annual Movers and Shakers report honours women in biobusiness who are setting the pace in the life science sector and delivering extraordinary success in their field. To celebrate this Autumn’s BioBeat16 event and the publication of this year’s report, we’ve been speaking to some of 2015’s Movers and Shakers to explore how they’re transforming today’s challenges into tomorrow’s opportunities. In the latest Q&A blog in our series, we interview Julia Fan Li, Senior Vice President at Seven Bridges, a biomedical data analysis company that uses cloud-based bioinformatics to solve challenges in the field of precision medicine. Co-founder of the African Innovation Prize, and with expertise in funding healthcare projects in low-income countries, Julia explains how technology is driving improvements in precision medicine and discusses challenges facing healthcare in the developing world. Could you tell us about the work that Seven Bridges does? Seven Bridges is a biomedical data analysis company that creates software for scientists to analyse this data. As sequencing costs in genomics become more affordable, researchers require more powerful analytical tools to make sense of the massive amount of information that is generated by DNA sequencing machines. 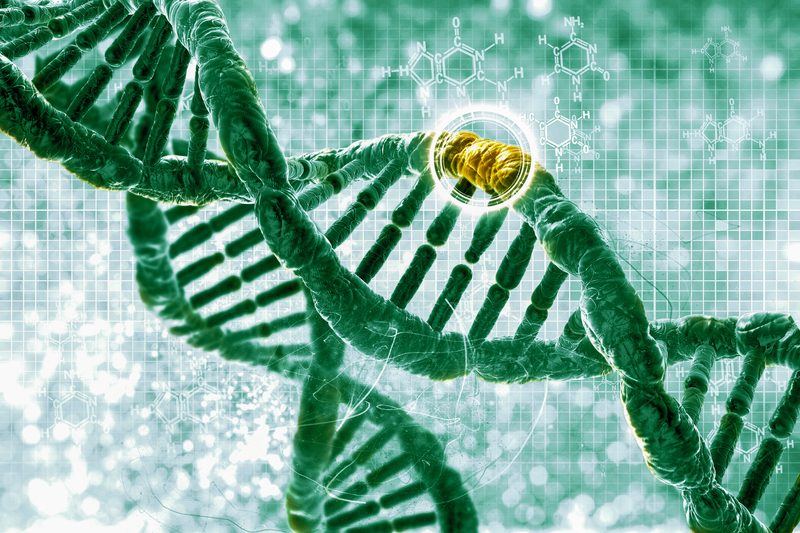 DNA sequencing produces a lot of data – to put it into perspective, the human genome is around 3.2 billion base pairs. Our bioinformatics platform allows researchers to manipulate what is essentially a string of letters (A, T, G and C) into medically useful information. Our tools can align these gene sequences with reference DNA in order to compare DNA associated with a particular hereditary disease to that of a healthy human. The differences in the genetic sequence are known as variants. Scientists can investigate these variants and identify those that can be treated using drugs. Knowledge of these ‘actionable’ variants will pave the way for targeted treatments that work more effectively for individual patients. What advances in genomics are you most excited about? I am very excited about the large increase in computational power that has been made available through cloud computing, which can be used to remove bottlenecks in genomics. It used to be very difficult to analyse genetic information associated with just one person, let alone the thousands or millions of patients whose genetic information must be studied in order to make personalised medicine a reality. Existing supercomputers simply don’t have enough computational capacity. Cloud computing gives us the flexibility to ensure sufficient computational resources are available. I’m also excited that health systems are seeing the benefits of genomics with pioneering projects such as Genomics England’s 100,000 Genomes Project and the Scottish precision medicine ecosystem. In the US, VP Joe Biden has raised awareness with the Cancer Moonshot. I think it’s great when sequencing technologies, analytics and cloud computing come together in this way. It’s my hope that the benefits in genomics and precision medicine resulting from these technological advances will be rapidly diffused to global health systems. I think it is important that we work towards providing the same standard of care in the developing world as we do in economically developed countries. You previously headed up the Global Health Investment Fund at London-based merchant bank Lion’s Head Global Partners. Could you tell us about how the fund helps benefit human health? The Global Health Investment Fund is a $108 million mezzanine fund available for investment into intervention programmes for infectious diseases. I worked on the hypothesis for this fund as part of my PhD thesis at the University of Cambridge and subsequently help launch the fund with Lion’s Head. Prior to the launch of the fund in 2013, it was very unusual to invest in projects that focused on treating malaria or tuberculosis because these were considered to be diseases of the poor. As a result, funding for these diseases was predominantly philanthropic, through organisations such as the Bill & Melinda Gates Foundation or the Wellcome Trust. The philosophy of my thesis was that, over time, we could invest in these companies on a risk-adjusted and return basis, just as we invest in innovations in cancer and Alzheimer’s, and other traditional venture funds in the healthcare space. The Global Health Investment Fund was founded on that basis, and makes investments in the realm of diseases that disproportionally affect the poor. You also co-founded the African Innovation Prize. What prompted you to set this up and how does the scheme benefit communities in Rwanda? While I was working in a hospital in Rwanda in 2009, I met local university students who didn’t have access to the types of extra-curricular clubs and activities that I’d benefited from whilst at university. Building on the experience I’d had with Cambridge University Entrepreneurs, I thought it would be worthwhile to set up a similar business creation competition in Kigali. So in 2010, together with other Cambridge graduates, we launched our first business plan competition under the African Innovation Prize umbrella. Over the past seven years we have expanded to become an annual competition open to all Rwandan students involved in post-secondary education. The scheme teaches students the basics of entrepreneurship, and through a business plan competition, gives access to feed funding to get businesses started. Today, we are honoured to work within the African Entrepreneurs Collective and it’s humbling to see the students develop and grow their businesses as well as their journey as entrepreneurs. On a global scale, we need better therapeutics that are more targeted to personal manifestations of disease. Just because, for example, all patients with lung cancer share the same phenotypic display of the disease, genetically they may respond to treatment differently. It will probably be more cost effective for us in the long run to pinpoint these sub-populations and treat them more efficiently. Advances in genomics and personalised medicine are helping us reach this goal. How is BioBeat bringing benefits to business? In my opinion, Miranda’s efforts with BioBeat have been amazing. I’ve been particularly impressed by the way BioBeat shines a light on contributions from both small and large companies. I think it is very important to highlight the good science that is being undertaken in industry – we sometimes forget that life science innovation isn’t easy, and the road to progress can be very long. BioBeat encourages businesses to take stock of what they have achieved and this in turn inspires new businesses.